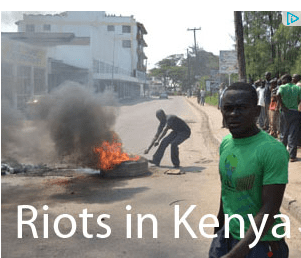 A Short Open Letter to Google Kenya- Who is Paying for the “Riots in Kenya” ad? Just noticed today that on any Foreign Site I visit, there is this “Riots in Kenya” ad by Google. What happened in Mombasa was very sad but not unique and now there is calm at the Coastal City. So the question is who is paying for the ad? What is it meant to achieve? How comes we have never seen any such ads before, while we have seen so many riots in other places like France, London and even deadly shootings in US? Can another one be put up to indicate that the so called riots in Kenya ended?